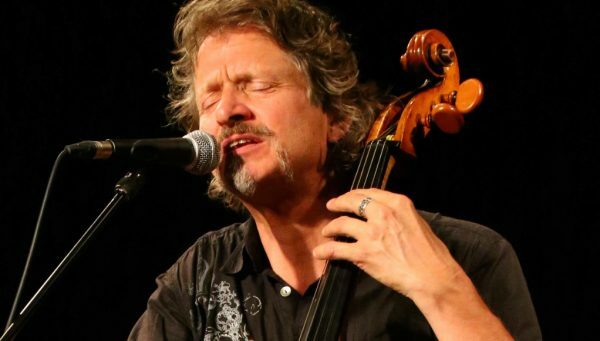 Gracing the Wild Hare Club stage for the first time as a solo performer is Ray Cooper who is well known for his long stint as bass and cello player with Oysterband. Now resident in Sweden, this show is part of Ray’s UK tour to promote his third solo album, Between The Golden Age and the Promised Land, on which he plays all the instruments – piano, guitar, cello, mandolin, harmonium, bass and percussion. Like its predecessors, Tales of Love War and Death by Hanging and Palace of Tears, the album is full of stories and takes the listener on a journey from the English countryside, to Flanders, Venice, Beirut, and even to the moon in the song Ocean of Storms. Benefitting from a stripped-down production, inspired in part by Rick Rubin’s work with Johnny Cash, the album is simple, raw, joyous, and unashamedly romantic and does justice to the warmth of his live performance. Opening the show is Jennifer Reid, the pre-eminent broadside balladress of the Manchester region. A specialist in Lancashire dialect and humour, Jennifer has acquired a deep knowledge of the songs and ballads born out of the 19th C industrial revolution which she delivers with great energy and a fiery wit. Jennifer goes from nursery rhymes to cotton weaving songs via bawdy Mancunian street ballads and hilarious Lancashire dialect sketches. Since her last performance at the Wild Hare Club, Jennifer has spent time in Bangladesh where has been comparing Bangladeshi weaving songs to those of her native Lancashire finding the common threads.